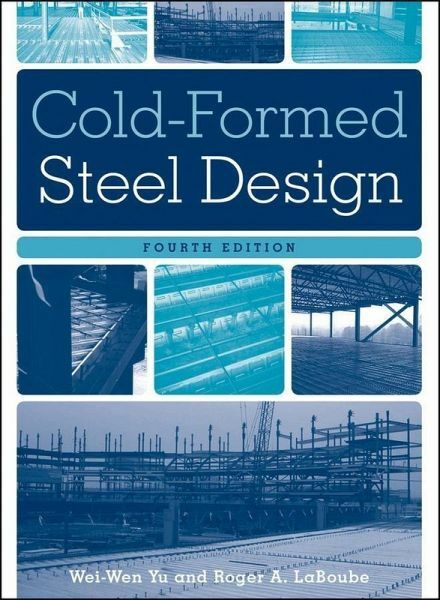 The definitive text in the field, thoroughly updated andexpanded Hailed by professionals around the world as the definitive texton the subject, Cold-Formed Steel Design is an indispensableresource for all who design for and work with cold-formed steel. Noother book provides such exhaustive coverage of both the theory andpractice of cold-formed steel construction. Updated and expanded toreflect all the important developments that have occurred in thefield over the past decade, this Fourth Edition of the classic textprovides you with more of the detailed, up-to-the-minute technicalinformation and expert guidance you need to make optimum use ofthis incredibly versatile material for building construction. Wei-Wen Yu and Roger LaBoube, respected authorities in thefield, draw upon decades of experience in cold-formed steel design,research, teaching, and development of design specifications toprovide guidance on all practical aspects of cold-formed steeldesign for manufacturing, civil engineering, and buildingapplications. Throughout the book, they describe the structuralbehavior of cold-formed steel members and connections from both thetheoretical and experimental perspectives, and discuss therationale behind the AISI and North American design provisions.Cold-Formed Steel Design, Fourth Edition features: * Thoroughly up-to-date 2007 North American (AISI S100) designspecifications * Both ASD and LRFD methods for USA and Mexico * LSD (Limit States Design) method for Canada * A new chapter on the Direct Strength Method * Updates and revisions of all 14 existing chapters * In-depth design examples and explanation of designprovisions Cold-Formed Steel Design, Fourth Edition is a necessarytool-of-the-trade for structural engineers, manufacturers,construction managers, and architects. It is also an excellentadvanced text for college students and researchers in structuralengineering, architectural engineering, construction engineering,and related disciplines. Wei-Wen Yu, PhD, PE, is Curators' Professor Emeritus of Civil Engineering at Missouri University of Science and Technology (formerly, University of Missouri-Rolla) and Founding Director of Wei-Wen Yu Center for Cold-Formed Steel Structures. He was awarded the 2001 Shortridge Hardesty Award from the ASCE and the 2009 Lynn Beedle Award from the Structural Stability Research Council. Roger A. LaBoube, PhD, PE, is Curators' Distinguished Teaching Professor of Civil Engineering at Missouri University of Science and Technology (formerly, University of Missouri-Rolla) and Director of Wei-Wen Yu Center for Cold-Formed Steel Structures.?Dr. LaBoube is an active member of AISI Committee on Specification and Committee on Framing Standards, and has an extensive industry and academic background related to the design and behavior of cold-formed steel structures. SECTIONAL PROPERTY ²y. APPENDIX D DEFINITIONS OF TERMS. NOMENCLATURE. ACRONYMS AND ABBREVIATIONS. CONVERSION TABLE. REFERENCES. INDEX.